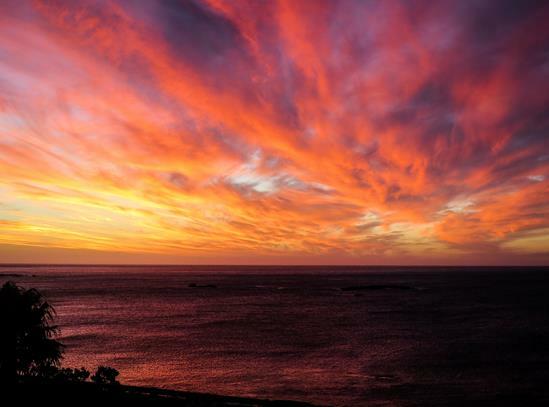 Known as the Mother City, mother-nature certainly excelled herself when she created Cape Town. With the dramatic Table Mountain as its backdrop and bordering the rugged Atlantic Coast, Cape Town is certainly a stunner. But, it’s not just its in your face beauty that appeals. Cape Town offers South African charm in spades, successfully balanced with a cool and upbeat side; outstandingly good restaurants; hip boutique hotels; and a vibrant cultural scene. And it doesn’t stop there. What makes Cape Town so special is that within an hour’s drive of the famous Victoria and Albert Waterfront, you have access to shell strewn beaches, wildlife, adrenalin sports and the stunningly beautiful Winelands. The only problem I find with Cape Town is that there’s so much to see and do, people often really don’t give the place enough time and leave wishing they’d stayed longer. Trust me, you’ll go to Cape Town once and will immediately start planning a return trip even before you’ve left. Cape Town is a big old stew pot of cultures and all around you’ll find evidence of the city’s heritage. The Dutch planted the first garden (Company’s Garden). The French Huguenots introduced their winemaking. The British left Georgian Mansions and Victorian terraced houses. The Malay slaves brought spices and settled in Bo Kaap, now one of Cape Town’s prettiest suburbs with its brightly coloured houses. Whilst the dark times of the apartheid era (powerfully on display at the District Six Museum) saw 60,000 people forcibly moved to the inhospitable Cape Flats and, although not on most holidaymakers’ tick list, visiting a township is definitely one of the most interesting and unforgettable things you can do in the city. The best way to figure out the lay of the land is to take the revolving cable car up to the top of Table Mountain; you’ll get 360 degree views over the whole peninsula. At the top there are numerous hiking trails (covered in the Western Cape’s famous fynbos) which give equally stunning views. The main city centre tourist areas are the City Bowl - a relatively compact area teeming with restaurants, shops and city life - and the Victoria and Albert Waterfront, both of which are easily accessible on foot. 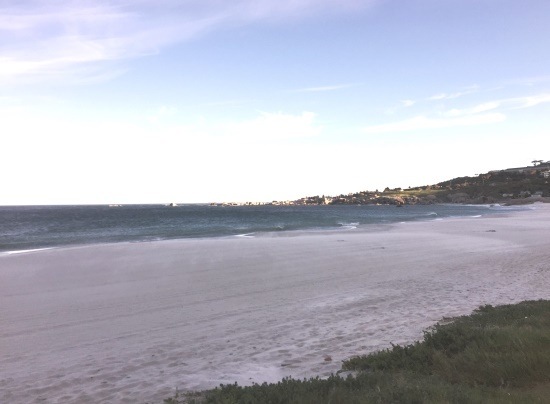 But, to reach some of the outlying areas - such as the beachfront areas of Green Point, Sea Point, Clifton, Camps Bay and Hout Bay plus the wine area of Constantia - take the hop-on/hop-off bus which covers 20 attractions and doubles as the best form of public transport. If you’re an adrenaline junkie, Cape Town offers some exhilarating challenges from abseiling down Table Mountain and paragliding off Lion's Head, to cage-diving with great white sharks and zip-lining through the tree top canopy. Although Table Bay National Park defines the city, there are many more equally lovely areas for the nature lover such as the stunning Kirstenbosch National Botanical Gardens. 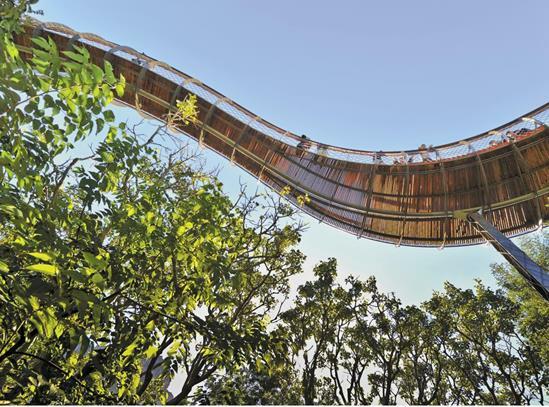 Founded in 1913, these are a heavenly oasis on the slopes of Table Mountain where locals come to picnic and explore the gardens, which can now be viewed from above thanks to the new 130m treetop canopy walkway, a timber and steel structure known as the Boomslang (tree snake), that winds and dips through the tree tops. Cape Town is a great place for restaurants and is experiencing a bit of a gourmet revolution. A table at Luke Dale-Robert’s Test Kitchen (he’s the Heston Blumenthal of Cape Town) is the hardest reservation in town, so do as I did and head to where the chefs eat on their day off, like Chef’s Warehouse, which does the most amazing tapas style food and you don’t need to book. Farm to fork dining is also very big and out in the Winelands, Babel is definitely the place to sample this. For years Woodstock was an area to be avoided at all cost. Now it’s been freshly transformed into a buzzy neighbourhood, thanks mostly to the development of the Old Biscuit Mill where local craftsmen sell their design-led wares. 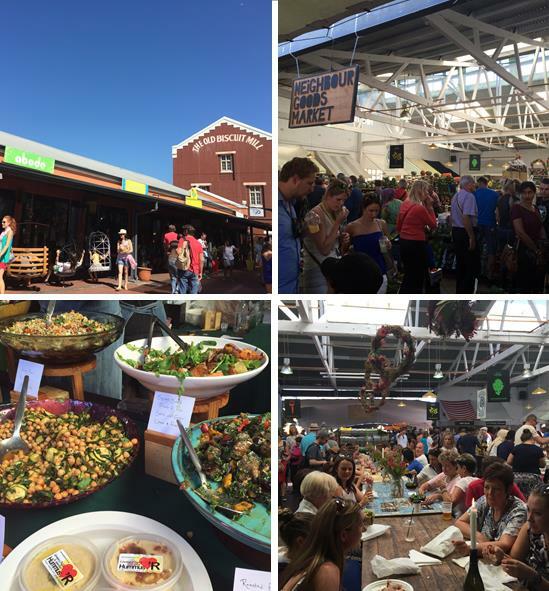 If you’re lucky enough to be in the area on a Saturday, join nearly every other Capetonian at the Neighbour Goods Market for artisanal food, craft beers, fresh produce and a whole load of people watching. Cape Town is a seaside darling blessed with incredible white sand expanses. Two of the most famous ones are in the exclusive neighbourhoods of Clifton and Camp’s Bay. Beware however, these are on the Atlantic seaboard and the waters are not for the faint hearted! For warmer waters head to the beaches along False Bay, which border the Indian Ocean, such as Muizenberg with its prettily painted beach huts. The scenic, five and half mile Chapman’s Peak drive, carved into the cliffs above the sea, runs between Hout Bay and Noordhoek and has sweeping views of the coastline and beyond. It’s a stunning drive and a great place to stop with a bottle of wine to watch the sunset. Head down the coast to the tip of the Cape Peninsula and the Cape of Good Hope, a stunning nature reserve where you can bear witness to the colliding Atlantic and Indian oceans. 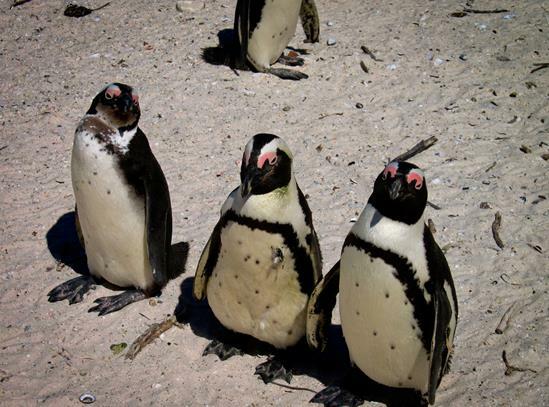 En-route a stop at Boulder’s Beach is a must; here you can get up close to one of the world’s last African Penguin colonies. 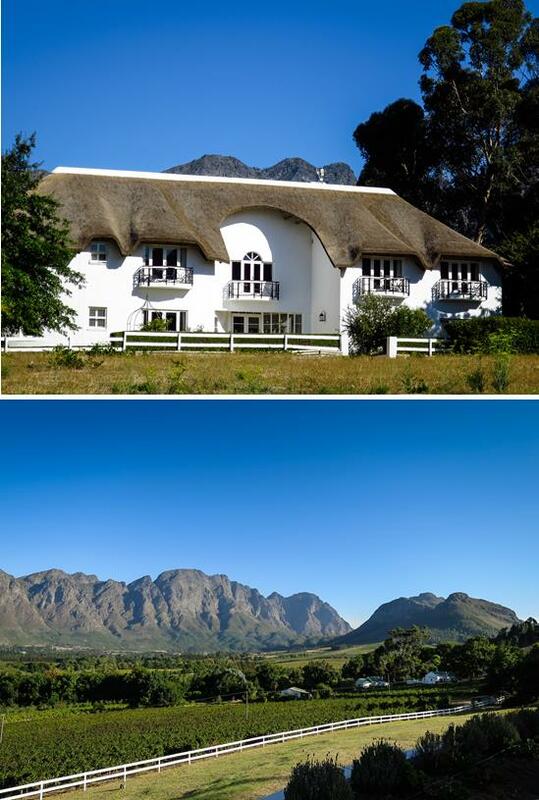 Another easy day trip from Cape Town is to the stunning wine regions of Franschhoek, Stellenbosch and Paarl. But, on the basis that the area is full of fantastic places to stay, has a dynamic culinary scene and tempting wineries, you’d be stupid not to stay for a few days! With the pound fairing extremely well against the South African Rand, Cape Town (and South Africa in general) is a very affordable destination. Add to this the easy 12 hour flight, a mere 2 hour time difference and so much to see and do, Cape Town is a perfect destination for couples and families alike, and is either great to visit on its own or as a prelude to further explorations along the Garden Route or to a safari. For more information on Cape Town and South Africa or advice on any other trip you are looking to take, please do get in touch.